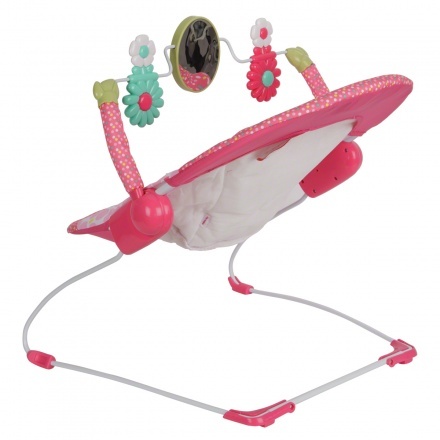 Bright Star Kids II Happy Tweets Bouncer | Pink | The automatic bouncer provides gentle bouncing motion. 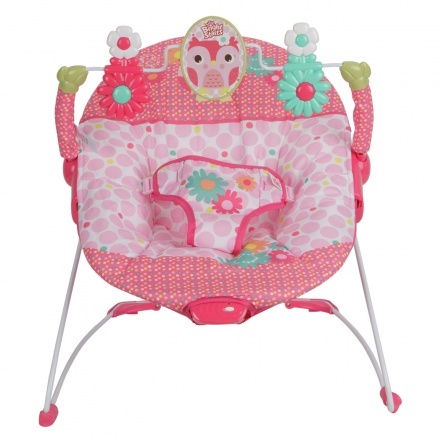 Keep your baby happy and comfortable in this adorable bouncer. 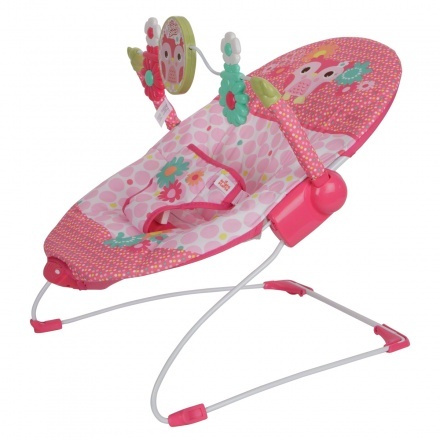 It can be used right from birth and the soft cushioning gives gentle comfort. This bouncer soothes your little one and offers a sturdy built. 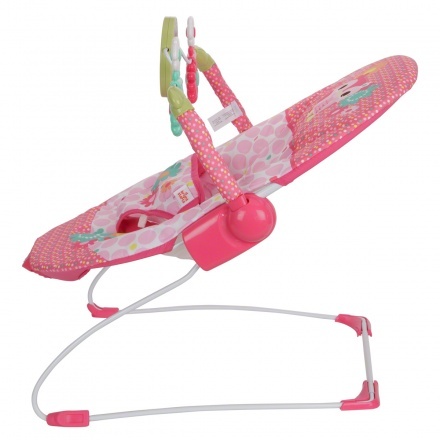 Feature 1 : The automatic bouncer provides gentle bouncing motion. Feature 3 : It has a 3-point harness system. 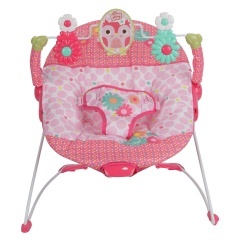 Feature 2 : It has a removable toy bar with plush toys for entertaining your baby.